Seriously, how is it August already? I'm definitely not ready for August because that means my baby will be starting school this year. 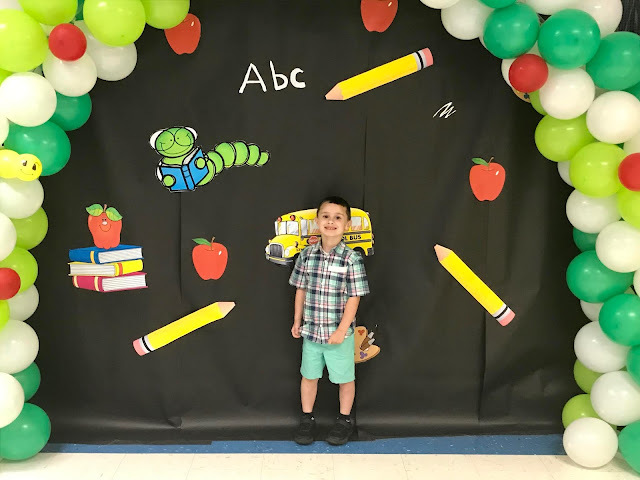 This will be his first year of school and with that I have so many mixed emotions. It really does break this momma's heart, but at the same time I'm excited for him. I'm excited to watch him learn, make new friends and hopefully enjoy school. I just worry though like all moms do. 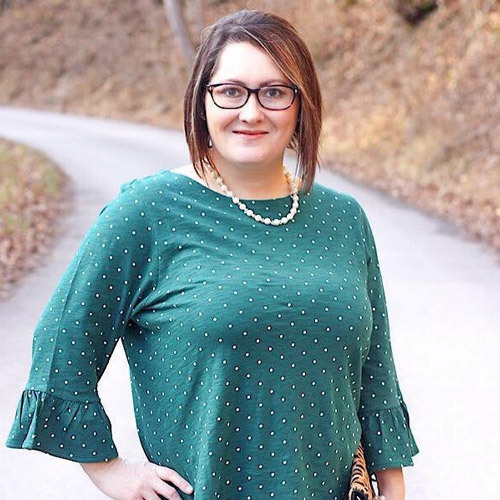 I know all moms are probably experiencing some anxiety right about now about their babies starting back-to-school. School starts this week in several counties around me, and Raylan will be starting on the 20th. It's just all too soon! Anyway, God does not want us to be fearful or anxious about anything. He is with us, for us and will protect us. This also means that God is always with our children at all times and will protect them and keep them in the safety of his arms. We just need to Trust God! 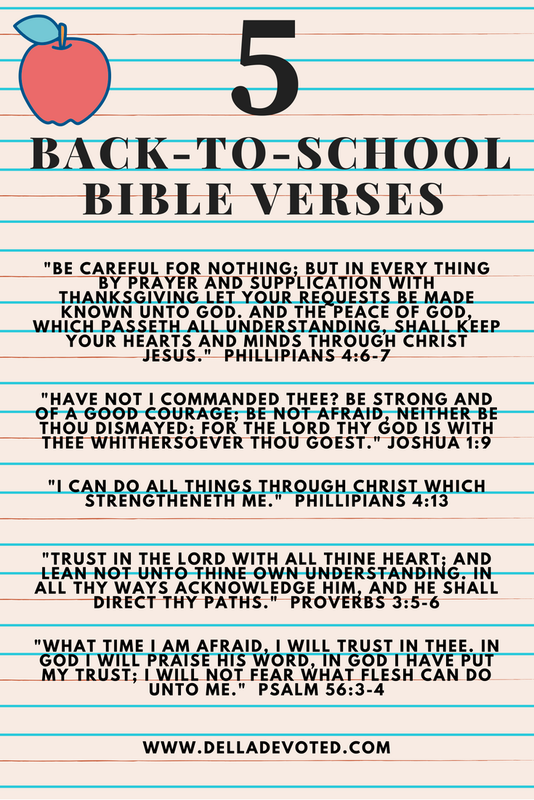 So try not to worry, and when you do please remember these 5 Back-To-School Bible Verses. These verses will bring comfort to the parents and bring reassurance to the child. These verses will also remind children that they can do anything as long as they have God on their side. Have a great and safe school year everyone! God Bless You!